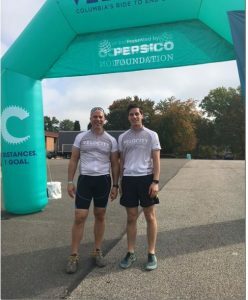 FKB’s A. Michael Furman completed the Velocity Ride on October 7, 2017, Columbia University Medical Center’s cycling fundraiser for the Herbert Irving Comprehensive Cancer Center of Columbia University (HICCC). The Velocity Ride raises funding that will benefit the Herbert Irving Comprehensive Cancer Center’s almost 650 clinical trials and studies, which include studies of 140 new cancer therapies that are developed to treat cancer and save lives through cutting-edge cancer research and patient care. Furman Kornfeld & Brennan LLP is proud to further its support for cancer research and treatments for loved ones battling this disease. 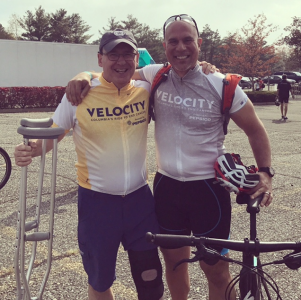 To donate – Click here to donate to Velocity Ride. Here are photos of this year’s event.